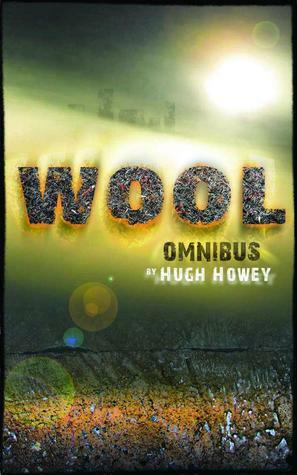 Hugh Howey's Wool Omnibus contains five books or novellas from his Wool series. 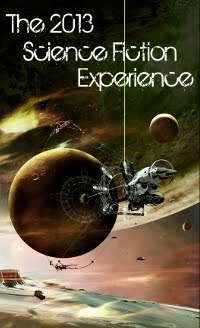 This is one of those books that lingered in my Kindle since last year but that happily turned out to be a great post-apocalyptic science fiction read. I devoured this book, over 500 pages, in a period of two very busy days! It was that engaging. But what are these books about? They are all about life as it happens in an underground silo centuries after a catastrophic event prevents men from living above ground and the society that developed in this restricted space by using ingenuity and imposing restrictive laws. In this one silo you will find the wonder of humanity with all its cruelties, strengths, frailties and joys. Can you imagine maintaining a civilized society in such a restricted dark underground space? What rules do they have to follow to keep it that way? I visualized this silo as a stationary space ship, underground instead of traveling through space, with a Mayor instead of a Captain, a Sheriff and Deputy instead of Security, and the head of IT instead of Systems. They are equipped with everything needed from the Supply department to food from farms, to a nursery for children and Mechanics to keep the silo functioning at full capacity. The details that Howey supplies about the running of the silos, without resorting to info-dumping, are fantastic. There is order and there are rules for everything, from supplies requisitions to who is chosen to have children, to how funerals are conducted, and although 'outside' can be viewed by everyone it can never be mentioned or speculated about. Shhh.... talking about outside can get you thrown out of the silo to "clean." Cleaning is Howey's version of getting "spaced," except that the bodies disintegrate where everyone inside the silo can view the remains of the dead along with the dark, dusty tornadoes and the black clouds that hang over the old decaying city that hangs like a dead spectre on the background behind the small hill that faces the silo. Those bodies are a permanent reminder of what can happen if silo citizens wish or hope for more, what happens if they don't follow the rules. It all begins with the fantastic little novella, Wool. This novella about Sheriff Holsen and his wife Allison is what I think of as the "hook." It leaves the reader wondering. Why? 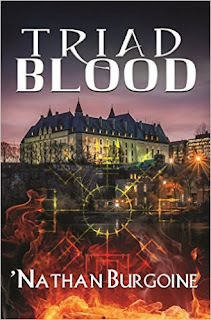 It gives the reader a taste of Howey's post-apocalyptic world-building and it also grabs the reader by establishing an emotional connection with his characters. I never stopped feeling Holsen's presence, grief, love, hope and even my own fury as I read the entire book, not just this first novella. Featuring Mayor Jahns and Deputy Marnes, Proper Gauge serves to give the reader a real understanding of how the silo functions physically and hints at politically based undercurrents that may lead to a power struggle. Howey continues to build those emotional connections with his characters and features a subtle if heartbreaking and emotional star-crossed love story. I particularly love Howey's usage of knitting metaphors within the narration of Proper Gauge that carry on to subsequent installments and titles. Here comes Juliette! A mechanic from the Down Deep turned Sheriff, Juliette knows nothing about dispensing justice. Juliette quickly becomes the catalyst of this piece as she digs for dangerous information and her curiosity leads to disaster. Casting Off is one of the best installments of this series and begins what I think of as the action, meat, and reveal segments of the series. This is where Howey's world-building expands to reveal what is festering in silo-world. Following, The Unraveling delivers and in some ways exceeds expectations. Juliette is a fantastic protagonist and in The Unraveling she not only continues as the heroine of the piece but I didn't want her off the page. It is tough trying to give you an idea of what happens here without giving away information that would spoil this series, but know that these episodes are the core of the series and for me, the best. The Stranded is all about revelations. The revelations are significant, appalling, and make sense. It is in the execution of this last installment where I had a bit of a problem with the choppy narrative flow. Regardless, that is a small complaint on my part since the content is all that I expected and in some cases more. The ending is satisfying but, well... no ending. Howey leaves plenty of space for more Wool stories and further development of this world and these characters. At least I hope so! CONCLUSION: Overall the Wool Omnibus is a great post-apocalyptic science fiction read. There is something to be said about reading these stories continuously so that they flow as one book instead of separate novellas, and there is a sense that this is one book. When it comes to content, I love the atmosphere created by Hugh Howey as humanity not only lives but thrives within the confined space of the silo which contrasts heavily with a sense of claustrophobia and horror heightened by the vast devastation and starkness when the 'outside' comes into view. Howey also highlights those contrasts by giving the reader a view of a human society that survives for centuries by feeling 'lucky' as the chosen while conforming to rules that have kept them living in ignorance and fear in a place where strength of character, hope, ideas, or differences are viewed as dangerous and criminal. I enjoyed the quick pacing, action, and mystery as it unravels, the combination of (what I think of as) almost regressive and advanced science fiction details that turn out not to be beyond a modern reader's understanding, as well as characters that come alive on the page. Most of all I appreciate the strong emotional connection that Howey establishes between the reader and those characters. Recommended. Isn't this collection awesome? I loved the world Howey created. So many things to think about. I'm looking forward to more books in the series. Phyl, definitely a lot to think about. I highlighted and bookmarked a lot throughout this book just so I could go back re-read and think about those sections. I'm really looking forward to the continuation of this series. Actually, I purchased the first two books of the prequel trilogy, First Shift-Legacy (Wool #6) and Second Shift-Order (Wool #7). Can't wait to read them! The series is called Arc One by Monica Hughes. There were only two books in the series - the first is Devil On My Back (http://www.goodreads.com/book/show/1190712.Devil_on_My_Back) and the second is The Dream Catcher (http://www.goodreads.com/book/show/608429.The_Dream_Catcher), which I own! Just read and loved this book. I can't wait to read the next two! Your review has moved this one up on my TBR list! I recently bought the Omnibus and I look forward to reading it. Do you plan to read Wool 6 & 7? I love the silo idea. This is probably one of the best books I have read this year! And I have just recently finished Shift, just as gripping! Cannot wait for the third installment later this year. I agree with you. Some of the pieces included in the Wool Omnibus were outstanding, and as a whole this is a memorable and gripping read. I have Shift in my Kindle and hope, hope to read it before the year ends and will definitely pick up the third installment when it releases later this year.